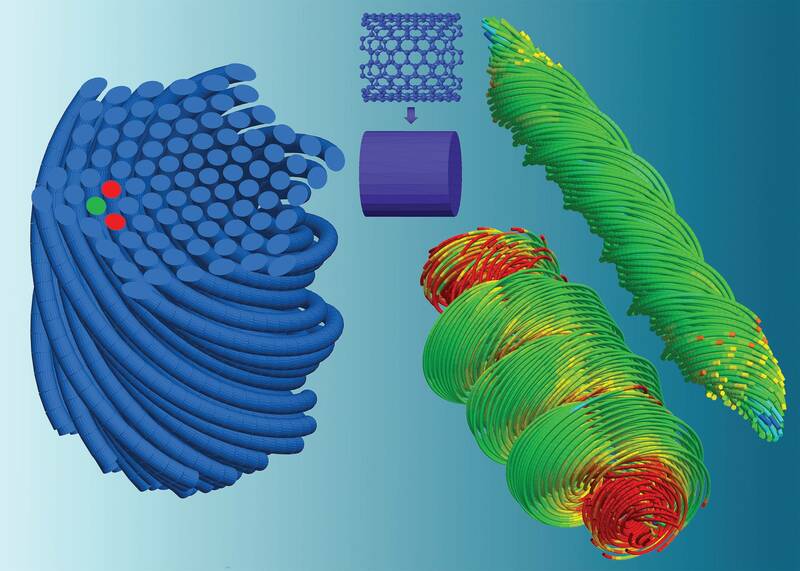 Density Functional Theory (DFT) modeling is being used to develop new force fields to accurately simulate carbon nanotube composites on the molecular level. Reactive force field (ReaxFF) and Interface force field (I-FF) parameter sets are being developed. Molecular Dynamics (MD) simulations are being developed, validated, and used to predict templating kinetics and load transfer characteristics at nanotube/polymer interfaces. Reactive and interface force fields are implemented for improved accuracy. The predicted molecular behavior will inform the meso-scale modeling efforts. The mesoscopic Distinct Element Method (mDEM) is being used to accurately predict the mechanical behavior of ultra-strong composites at intermediate length scales. The new force-fields will be coarse grained into mesoscopic contacts. 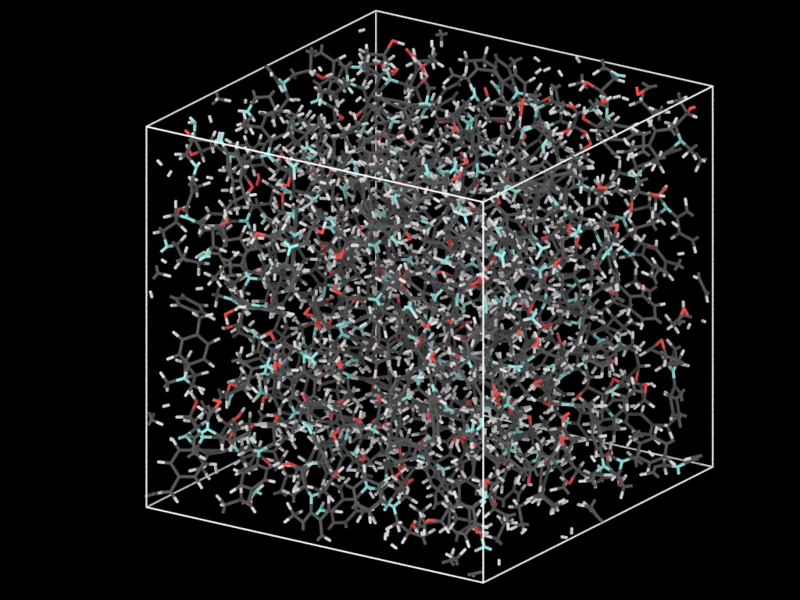 MDEM will link the molecular- and continuum- level simulation efforts. Peridynamics and the Material Point Method are being used to predict the mechanical behavior of ultra-strong composites at the bulk level. Using material property input from mesoscale modeling, these continuum-level modeling efforts predict the mechanical failure characteristics of these materials for different material geometries. Optimization algorithms are used to drive the topological design of ultra-strong composite materials. The material design is optimized at multiple length scales: molecular, meso, and continuum. Uncertainty quantification is used to understand the effect of manufacturing variabilities.